Getty Images launched its first consumer app, Getty Stream for iOS, this summer. 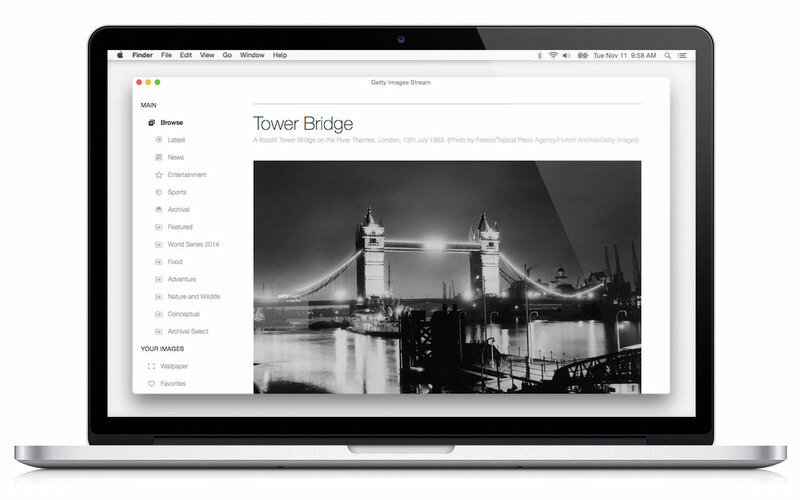 Now it’s following up the iPad and iPhone app with another free app, Getty Images Stream for Mac. 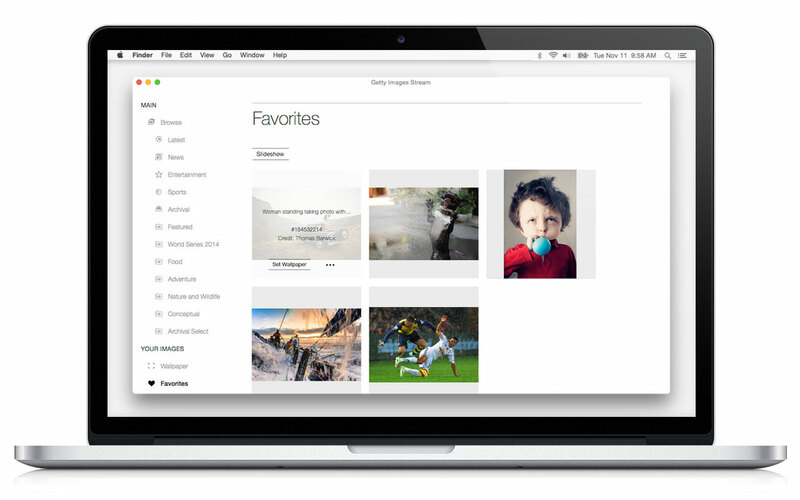 Available for OS X Yosemite, the Stream Mac app hooks into Getty Images’ API giving you access to streams including latest images, news, sport, entertainment and selections from its archive. 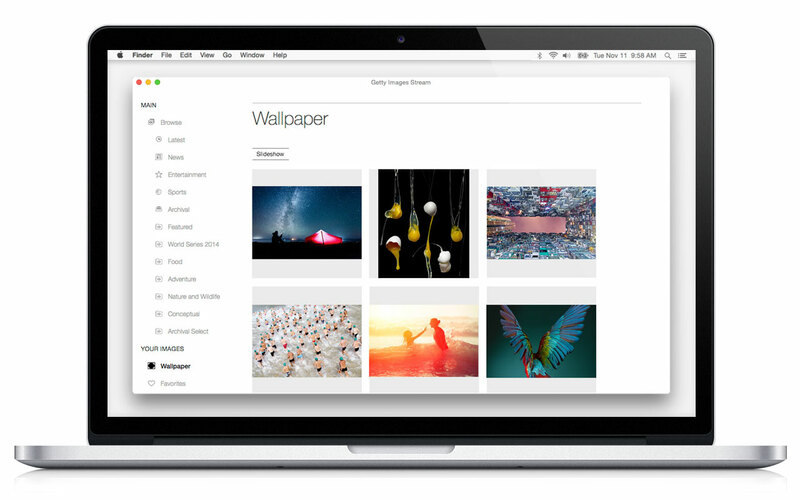 You can select images from the Getty Stream and turn them into a desktop wallpaper for your Mac or stream slideshows via AirPlay to your iPad, iPhone or Apple TV. The app also gives you the option to legally share an image directly to Facebook and Twitter or embed them on a blog or webpage. 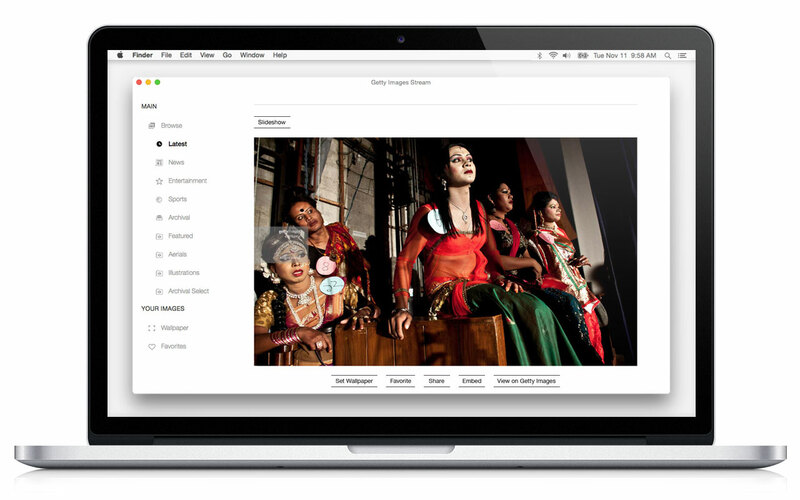 Getty says embedded images have surpassed one billion impressions since it launched the feature in March 2014.